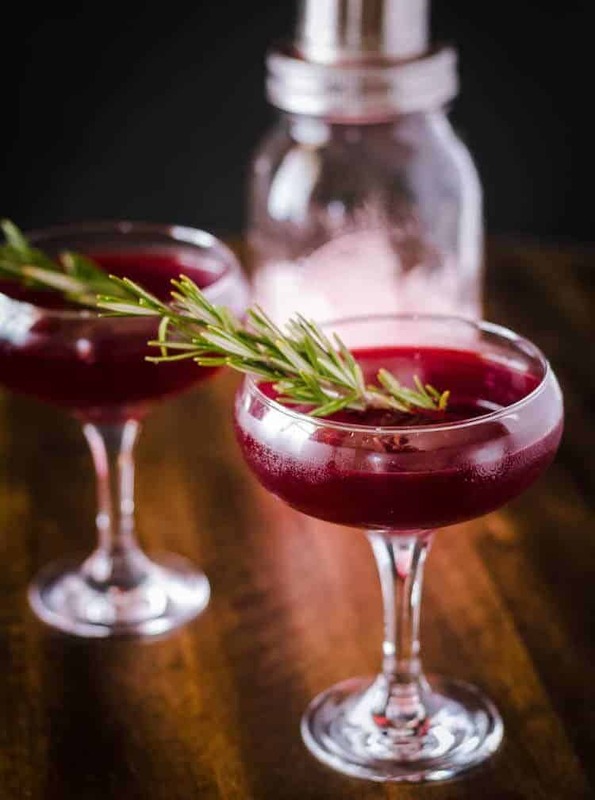 I am totally in love with the intense red hue and savory flavor of my Savory Gin Cocktail with Cynar and Beet Juice! This tasty cocktail is perfect when “sweet” just isn’t appealing, and it’s ready in 5 minutes (or less)! The hubs and I have way too much fun playing with mixology. Typically I am the creative genius ( 😀 ), and he executes my idea. I only became interested in cocktails a couple of years ago, having only ordered “dirty martini up” back in my early college days. After a vacation to the Texas Hill Country led us to Dripping Springs Distillery, I realized how aromatic and complex a good, artisan gin can be. I got sucked in to the wonders of mixology, and now my interest in gin has turned into a passion for creating flavorful sippers! If you’ve followed my blog for any length of time, you know I’m really not into sweet. Unfortunately for me, sweet, semi-sweet, tart cocktails have been the trend (and preference) seemingly forever. However, a dynamic shift in palate and preference is sweeping this country (and others) – away from the sweet and toward flavors that are savory, sour, smoky, or bitter. 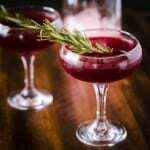 I think I’ve fallen down the savory cocktail “rabbit hole.” It’s like discovering a whole new world for this adventuresome home cook! So, on to this Savory Gin Cocktail with Cynar and Beet Juice… This combination took some experimentation. First, I went looking for a savory aperitif (typically a fairly dry and low alcohol drink consumed prior to a meal to aid in digestion). Having developed a fondness for Campari, I went looking for something with more vegetal qualities. I had never tried Cynar (A lighter and flavorful bittersweet drink that is has a relatively low alcohol content and lists artichoke as one of its 13 flavors), but the “artichoke” in the description definitely sounded “savory.” I bought a bottle! Cocktail hour has become a thing at Andersen casa, and that night we experimented with the Cynar. We first tried it with Mezcal, but the smokiness of the Mezcal completely overpowered the Cynar. On successive nights we tried gin and then bourbon. Cynar most definitely pairs well with the aromatics in gin. I had a Beetology on hand (not straight beet juice), and we gave that a whirl. The beet juice blend is delicious, but it had something a bit sweet in it, so it wasn’t quite right; 100% beet juice provided the savory, vegetal quality I was looking for. The Beetology drinks are all-natural, healthy, and delicious, and I have enjoyed them in both cocktails and as is. This cocktail is simple; there are no syrups to make, just pour 3 ingredients into a cocktail shaker with ice. 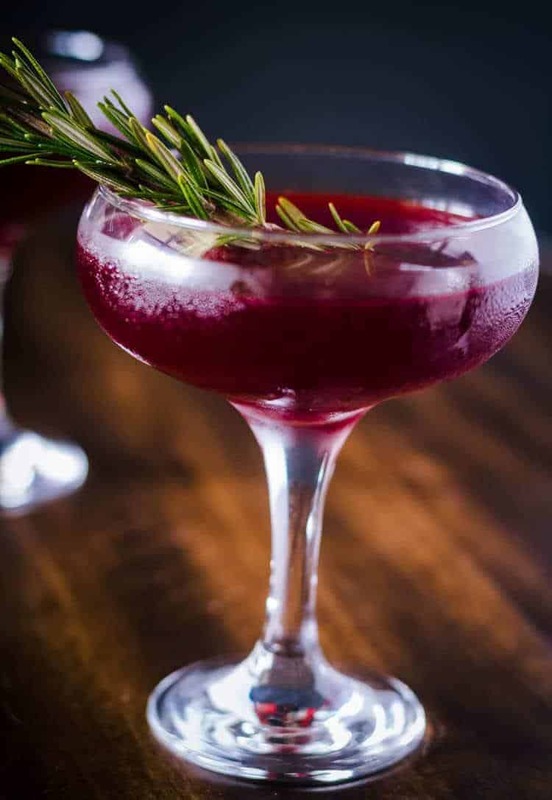 Shake vigorously, strain into coupe glasses, add a few drops of savory or aromatic bitters, garnish (if desired), and enjoy! 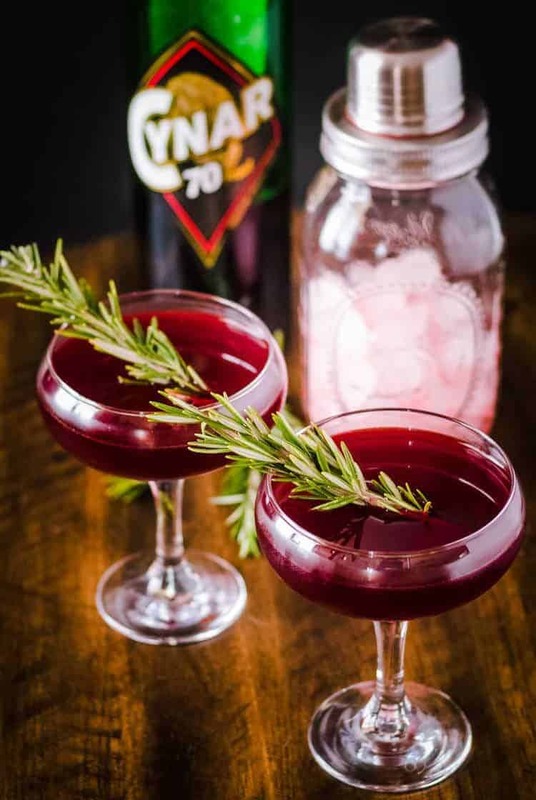 Aromatic gin with Cynar aperitif (aromatic and vegetal) with 100% beet juice is topped off with savory or aromatic bitters in a delightfully savory and beautiful cocktail! 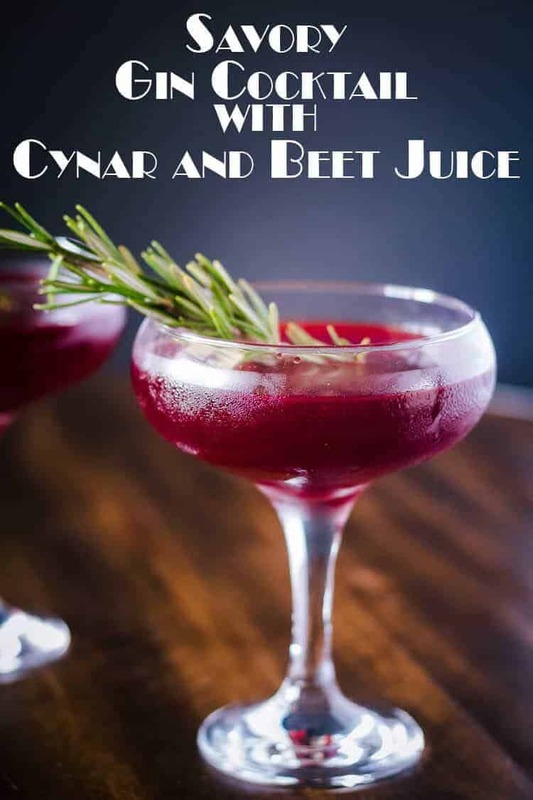 Add gin, Cynar, and beet juice to a cocktail shaker with ice. Shake vigorously. Strain into coupe (or similar) glasses. Add several shakes of bitters. Garnish with rosemary sprig or other fresh herbs. Enjoy! I use Bittermen's Scarborough Savory Herbal Bitters. There are many suitable options including the widely available Angostura Bitters. I don't (yet) have a juicer. I find 100% beet juice at my local Sprouts Market. It's brilliant red, full of antioxidants, and delicious. Blends will result in a different result but may be delicious as well. This is really a great cocktail. The flavors blend really well. It's a real favorite of mine!